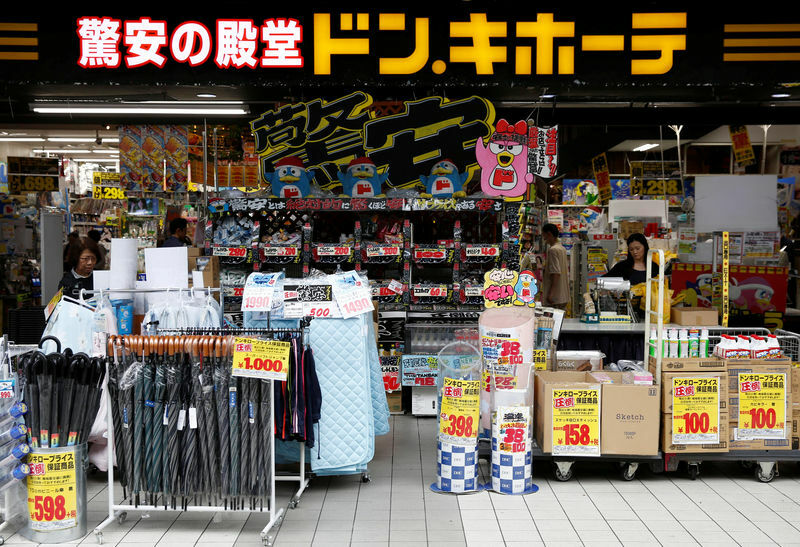 TOKYO (Reuters) – Japan’s retail sales rose for an 11th consecutive month in September from a year earlier but the pace of gains slowed from the prior month, in a sign private consumption may not be strong enough to avoid a broader slowdown in economic growth. The trade ministry’s figures followed data that showed an unexpected drop in exports in September, raising the specter of a marked moderation in economic growth in July-September from the previous quarter’s solid expansion. Analysts expect the third-quarter slowdown to be temporary, caused by a string of natural disasters that disrupted business and consumer activity in recent months. But the softer growth will add to wider concerns about the central bank’s ability to hit its elusive annual inflation target of 2 percent. “The third-quarter GDP likely contracted 0.1 percent as a reaction to the previous quarter’s solid growth,” said Azusa Kato, senior economist at BNP Paribas (PA:) Securities.